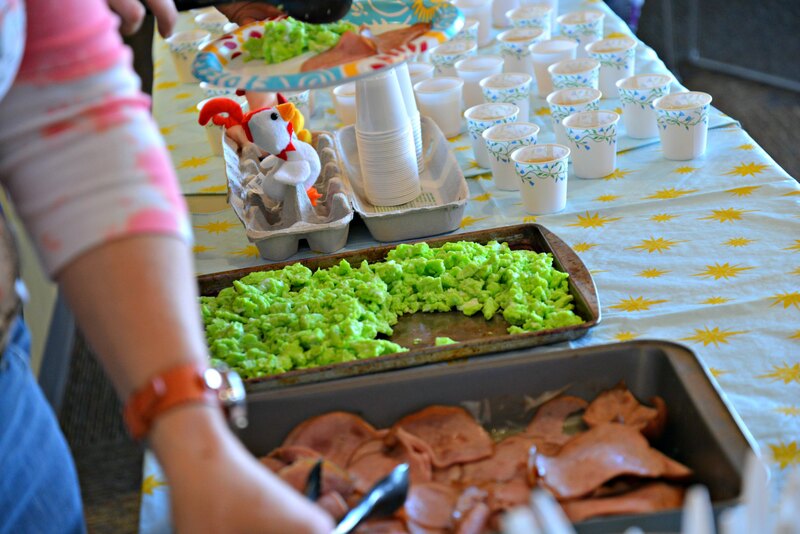 This year was our 4th Annual Green Eggs and Ham Breakfast to celebrate Dr. Seuss’s Birthday. However, this was the FIRST year we incorporated technology (besides that magic stuff that turns our eggs GREEN!). THE CAT IN THE HAT came out to greet the children! 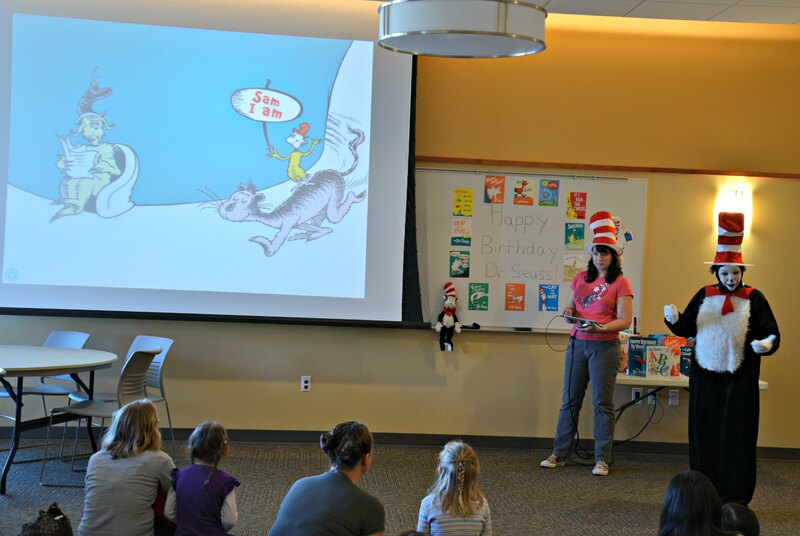 The Cat in the Hat comes each year to read Green Eggs and Ham. And this year, the Cat in the Hat read it from the screen using the Green Eggs and Ham iPad app. This gave EVERYONE a good view of the story from the big screen! It was a celebration everyone could sink their teeth into! Posted on March 7, 2014, in Apps, Story Time and tagged Stephen Tafoya. Bookmark the permalink. Leave a comment.